“Appropriate Approval” is approval by Dean/VP level authority. All per diem, mileage and meal reimbursement rates are established by the Board of Regents of New Mexico State University. Departments may elect to reimburse at an amount less than any of the provided rates, with the approval by Dean/Vice President level authority. Employee travel will be reimbursed for official University travel approved by the authorized campus personnel. Travel may require approval by Dean/Vice President level authority prior to travel dates. Travel for periods greater than forty-five days requires prior travel approval and is subject to a review by NMSU Treasury Services due to tax considerations that may apply. Cost of travel changes, exclusive of per diem expenses, may require justification by the traveler and approval by Dean/Vice President level authority if cost changes are substantial. CONUS (Contiguous United States) are the 48 adjoining U.S. states on the continent of North America, plus the District of Columbia. CONUS excludes the non-contiguous states of Alaska and Hawaii, and all off-shore U.S. territories and possessions, which include American Samoa, Guam, the Northern Mariana Islands, Puerto Rico, and the United States Virgin Islands. Claims for reimbursement must include payee signature and Appropriate Approval. For additional information on signature policy see section 2.05, Signature Approval for Routine Business Transactions. Employees are not allowed to approve their own reimbursements. Reimbursement requests must clearly state a purpose of the travel and serve a bona fide business purpose. Reimbursement is limited to travel one day before and one day after the business to be conducted; allowance will be made for foreign travel of longer duration. Meal per diem should begin based on the actual day of first flight departure. Hotel overnight stays prior to the official first day of air travel in the airport city requires a bona fide business reason and Appropriate Approval. Exception requests must have a bona fide business reason and justification. These requests should be initiated by the travel and Appropriate Approval is required. Travel reimbursement vouchers should be submitted within ten days of returning from travel. Travel reimbursements issued greater than ninety (90) days after a traveler returns become taxable to the traveler and will be forwarded to Payroll Services for tax withholdings. Receipts are required on amounts to be reimbursed, except meal per diems, lodging per diems, and mileage. Receipts must be identifiable as to payee, nature, and amount of expenditure and payment. Any information not included on the receipt must be added by the department; such additions must be attested to by the employee’s signature on the receipt. The Illegible/Missing Receipts form becomes the documentation to support transactions for which receipts are not available. Other expenses not related to travel can be reimbursed using the Employee Non-Travel Reimbursement form. The following types of travelers are eligible for reimbursement through NMSU travel reimbursement voucher system. Rules which are specific to each type of traveler are noted in each travel procedure sub-section. Employees – Faculty, staff, and student employees at the time of the trip. Student Teams – Official University-sponsored groups of students or potential students. 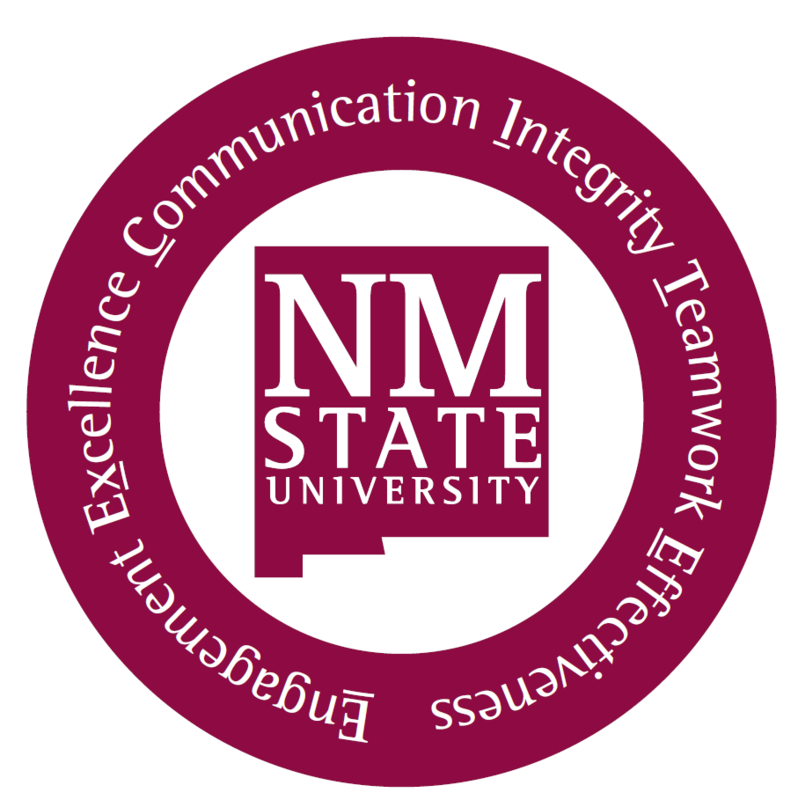 Non-Employees – Individuals such as emeritus faculty, affiliated faculty and staff, speakers, or interviewees may be reimbursed travel expenses for bona fide NMSU business. See section 5C.60. Members of the Board of Regents of NMSU – In accordance with employee travel procedures. Travel expenses are categorized for reimbursement as domestic or foreign. Procedures specific to each geographic travel category are noted in each travel procedure sub-section. Domestic Travel – Travel within the 48 adjoining U.S. states on the continent of North America and the District of Columbia. Foreign Travel – All travel that is not domestic travel is considered foreign travel. Per diem for travel, regardless of funding source, will be reimbursed at the NMSU-established per diem rates. For federally-funded foreign air travel, travelers are required under 49 USC 40118, the “Fly America Act,” to use U. S. air carrier service and cargo transportation. The U. S. Government has entered into several air transport agreements that allow federally funded transportation services for travel and cargo movements to use foreign air carriers under certain circumstances. Further information can be found under the U. S. General Services Administration Travel Management Policy (http://www.gsa.gov). Information on the four Open Skies Air Transportation Agreements (U. S. Government procured transportation) may be accessed via the Department of State’s website (http://www.state.gov/e/eb/tra/). All non-personal international travel, with the exception of travel to Alaska, Hawaii, and all off-shore U.S. territories and possessions, for faculty, staff, and students requires international travel authorization approval and the following two coverages prior to travel. At least twenty (20) days prior to an international trip, appropriate travel authorization forms, Notification of International Travel for Faculty/Staff or Approval of Student International Travel, must be submitted for approval to the appropriate Dean/Vice President area, Risk Management office, and International Programs Office for approval in this listed sequence. Students, faculty and staff from all NMSU campuses who travel abroad for University-related purposes must have travel abroad medical insurance (University-related purposes may include but are not limited to study, research, internships, service, conferences, presentations, teaching, performances or athletic competitions). Insurance covering the costs involved with returning a person back to the United States for medical treatment or burial services is required on all international travel. If further information is needed regarding the needs or sources of this type of insurance, consult with a Dean/Vice President level authority and the Office of International and Border Programs. A separate Travel Expense Report is required for each continuous employee or team trip. The web-based form is located at http://travelreport.nmsu.edu/. NMSU has an agreement with BMO Financial Group Diners Club to provide employees with credit cards to facilitate business travel. There is no cost to the employee or NMSU. The form to apply for the card is the Diners Club Corporate Credit Card Enrollment form and must be submitted to the Travel Office for processing. Diners Club credit cards are personal liability cards. The full amount of the charge needs to be paid to Diners Club when the employee receives their reimbursement. Cards are to be used for the purpose of business travel only. Frequent travelers, anyone traveling more than three times per year, are encouraged to apply for a Diners Club card. Reimbursement of personal expenses such as movie rentals and personal calls are not allowable. Employees traveling for a minimum of ten consecutive days and a maximum of one month will be allowed reimbursement for laundry and dry cleaning expenses. All laundry and dry cleaning expenses must be supported by original externally produced receipts and attested to by the traveler and Appropriate Approval. Expenses resulting from an employee’s non-official or personal activities, and expenses related to guests of the employee, cannot be reimbursed. An employee travel advance is available to regular faculty, regular staff, and graduate assistants. Advances for student and temporary employees will be considered on a case-by-case basis with appropriate business justification. An Employee Travel Advance form should be completed. An advance will not be issued to an employee who has a Diners Club card. An employee travel advance is issued to the traveler/payee. The amount of the advance may not exceed 90% of the estimated meals and lodging. Advances will not be issued for amounts less than $100. A traveler on an extended trip may request an advance every 30 days and must clear the prior advance at the end of each 30 days. When an advance is requested based on actual lodging costs, documentation showing the daily lodging rate and total estimated lodging expense is required. An employee may only have one travel advance issued and outstanding. Lost or stolen advances are considered a personal loss and must be repaid by the employee to whom it was distributed. The request for an employee travel advance can be prepared and submitted at any time prior to the departure date; however, the check will not be issued earlier than five (5) days before the departure date, and must be cleared within ten (10) working days upon return from travel. If circumstances require additional time to clear an advance, the Travel Office should be notified. Upon completion of the trip, the advance amount must be included on the Travel Expense Report and deducted from the total amount to be reimbursed to the employee. Advances not repaid within ninety (90) days after completion of a trip, either by submitting a Travel Expense Report with the advance deducted from the travel reimbursement or by repaying the advance with personal fund, will be deducted from an employee’s NMSU pay. Travel expense reimbursements submitted after 90 days (from return of travel) are considered taxable and will be reported to the Payroll office for tax collection. It is strongly encouraged, for the benefit of the travelers and sponsors, that a Team Travel Authorization be submitted to the Travel Office prior to departure for all student team travel. Travel authorization forms are required, when a travel advance is being requested. The authorization number should be referenced on all subsequent documents. If a trip is cancelled, notify the Travel Office so the encumbrance can be released. Team sponsors or other NMSU employees traveling with a team may elect to include their lodging and other expenses in the team authorization request; those who elect to do so will be subject to all team travel procedures and will not be eligible for per diem reimbursement. If not included with the student team’s authorization, employees should follow normal reimbursement procedures. Actual meal costs, as long as the actual meal costs are less than the allowable per meal per diem for the destination, and receipts for actual meal costs are submitted. Meal /per diem, as long as form signed by the student or staff receiving meal per diem evidencing receipt of the meal per diem amount is submitted. Team members must sign each day for receipt of a meal allowance. A combination of actual meal costs and per diem reimbursement. The total allowable reimbursement for meals (whether receipted, reimbursed through per diem, or a combination of receipted and per diem) is based on destination and cannot exceed in total the per diem rate allowed per destination. If the city or county destination is not listed, the standard (CONUS) meal rate must be used. For partial-day travel, see section 5C.50.10. The method of transportation must be indicated on the Travel Expense Report. Mileage may be reimbursed for use of a private vehicle supported by odometer readings, NMSU standard mileage, or mapquest.com. No reimbursement can be claimed for use of an official University vehicle. All expenses for team travel must be receipted. Tips and/or gratuities related to travel such as bellhop, laundry, bus drivers and maid service will require a receipt, which must be signed and dated by the recipient and witnessed by a member of the travel party. Meal tips must be receipted and cannot exceed 25% of the meal cost. If a travel advance was issued, submit all required receipts and signature sheets. Cash remaining after the trip should be deposited at Accounts Receivable; contact the Travel Office for the index number. The cashier’s receipt should indicate the sponsor name and authorization number. Attach all receipts, advance deposit receipt and signature sheets to the Travel Expense Report. All cash advances should be cleared within ten (10) working days upon return from travel. If circumstances require additional time to clear advances, contact the Travel Office for alternative arrangements. Team travel advances not repaid within ninety (90) days after completion of a trip, either by submitting a Travel Expense Report to clear the advance or by repaying with personal funds, will be charged to the departmental index indicated on the advance request; sponsor remains responsible for clearing the advance by completing a Travel Expense Report. Team travel advances are only issued to an NMSU employee who is considered the team sponsor for the travel event. Travel advances from Agency Funds are processed by completing an agency Cash Withdrawal form. An approved Team Travel Authorization is required. A list of all team members/attendees is required. A sponsor may only have one travel advance issued and outstanding. A departmental default index is required on the team travel authorization form. In the event that the department does not process paperwork to clear the advance within ninety (90) days the default index will be used to charge the expense to the department. Regardless, even though the expense is charged to the department, the sponsor remains responsible for clearing the advance. Lost or stolen advances are considered a personal loss and must be repaid by the sponsor to whom it was distributed. In calculating the advance amount, lodging, meal expenses, and baggage fees for team members and related staff are allowed. Travel advances cannot exceed estimated lodging, meal expenses, and baggage fees. All requests must be supported by documentation estimating lodging and meal expenses. Meals and lodging expenses prepaid by any method/source or included in the event must be documented in the estimate and deducted from the advance amount being requested. Per Diem for sponsor/employee electing not to be included as part of the team may not be commingled with the team expenses in calculating the advance. Itemized meal receipts and lodging receipts by room number and occupant should be retained by the sponsor receiving the advanced funds. Meals do not require receipts if team members are issued and sign for a meal allowance, not to exceed the daily meal rate per day per person for the city or county of destination. All required receipts and signature lists should be submitted with the Travel Expense Report. Meal tips (including automatic gratuities) must be receipted and cannot exceed 25% of the meal cost. Travel advances will not be issued earlier than five (5) working days before the departure date and must be cleared within ten (10) working days upon return from travel. Advances not cleared within ninety (90) days after completion of a trip will be charged to the department index provided on the advance request; sponsor remains responsible to clear the advance. If circumstances require additional time to clear advances, contact the Travel Office for alternate arrangements. Upon completion of a trip, the team sponsor must prepare and submit a Travel Expense Report. When processing the Travel Expense Report, the Travel Office will be responsible for charging the department and clearing the team travel advance. The following provides the requirements to be eligible for reimbursement of actual or per diem for meals and lodging. “Per diem” is a fixed daily allowance for meals and/or lodging. Lodging and meal receipts are not required when claiming per diem reimbursement. To be reimbursed for per diem, employees must travel at least 50 miles from their primary official place of work. Meal and lodging expenses must be paid out of pocket by an employee and then reimbursed on a Travel Expense Report. Travelers may request reimbursement of the per diem rate based on the location of the overnight stay and the dates of travel. For domestic travel, if the city is not listed in the per diem rate table, the standard CONUS rate applies. Foreign meals and lodging rates are used for travel outside the 48 adjoining U.S. states and the District of Columbia. Prior sponsor approval for reimbursement of actual expenses will be required on individual restricted awards if expressly stated as a requirement in the external sponsor guidelines. Contact the Sponsored Projects Accounting office fiscal monitoring staff, http://spa.nmsu.edu/fm_staff/, for specific award requirements. The meal per diem rates cover incidental expenses defined by the IRS to include fees and tips given to porters, baggage carriers, and hotel staff. In addition, meal gratuities are considered to be included in the per diem amount. Therefore, individuals being reimbursed meal per diem cannot also separately claim reimbursement for these incidental expenses. Incidental expenses that are not considered part of the meal per diem rate, as noted in the preceding paragraph, can be reimbursed as separate charges when supported by receipts. Meal per diem will be paid at 75% of the destination meal per diem for first and last day of travel where overnight stay is required. All other days are reimbursed 100% meal per diem of the destination. The reimbursement rate is the established destination city meal per diem rate. If the city destination is not listed in the per diem tables, the standard (CONUS) meal rate per day will be used. When traveling at least 9 hours with no overnight stay, reimbursement for meals will be reimbursed at 75% of destination meal per diem. All payments for same day travel where overnight lodging is not required will be treated as taxable compensation to the employee and reported as such on the employee’s Federal W‑2. For federal tax reporting purposes, departments must use the specific account codes for same day per diem when overnight lodging is not required. Enrollment, Financial Aid advisors, Dona Ana Community College advisors, and student team travel are exempt from the nine-hour travel and 50-mile radius limitations for one-day per diem. Reimbursement of actual expense for meals – Amounts claimed cannot exceed the amount allowed under the per diem rules. If the city destination is not listed, the employee must use the current standard meal reimbursement per diem. When actual meal costs are less than the destination per diem meal rate, meal receipts are not required. Reimbursement of actual expense for lodging – Original and externally produced receipts are required. Travel reimbursement for lodging is limited to (1) the applicable lodging per diem at the destination, (2) the actual cost will be reimbursed for lodging at an official conference or meeting hotel, (3) the actual cost of lodging where the University has negotiated an employee rate, or (4) the actual cost with justification and Appropriate Approval. Additional costs incurred for dates before or after the dates of the business event, or for other individuals not on NMSU business are not allowed. If travel plans must be changed it is the responsibility of the traveler to contact any meal and lodging providers that have been scheduled and cancel reservations. “No Show” charges are the responsibility of the traveler unless justification has Appropriate Approval as defined in section 5C. The University will pay the cost of commercial airline travel, including airline fees, at the lowest available rate that meets the business need. Travelers may fly business class only when a flight is greater than fourteen hours in duration and there are no stopovers longer than twenty-four hours. Lowest fare available must be used for travel not meeting these requirements. Travelers may upgrade accommodations at their personal expense. Travelers are prohibited from selecting travel arrangements that result in an increased cost to the University for the purpose of earning or increasing travel rewards or incentives. The use of incentives for University business is not reimbursable by the University, as these are not actual out-of-pocket expenses incurred by the traveler. Airline tickets may be purchased with a University Procurement Card (PCard). Travelers may also elect to purchase airline tickets with personal funds and claim reimbursement. Reimbursement will be allowed only for tickets purchased through an authorized airline ticket merchant. No reimbursement will be allowed if the airline ticket or other travel credits are purchased from a private individual. Employees are required to provide an airline itinerary for all airfare. Proof of payment is required for non-PCard airfare purchases. In addition, tickets purchased using credit from a prior unused ticket requires a copy of the original ticket or airline itinerary showing proof of payment. Customary Fees – NMSU will pay for fees identified in the table below as “customary”, or those that could reasonably be expected to be paid by any traveler when flying. Non-Customary Fees – NMSU typically will not pay for fees that are considered “non-customary” or fees that are incurred strictly for traveler convenience. In-flight technology X If required to perform work duties and approved by appropriate department authority. Business class X International flights in excess of 14 hours when the traveler will be engaged in business activities the following day or sooner. Flight time does not include time at originating or ultimate arrival airports. *Other fees not listed will require Dean/VP approval. All chartered air transportation is processed on a Purchase Order requisitioned through the NMSU Purchasing (Banner) System. Employees are encouraged to use the University’s corporate services vehicle rental agreement for car rentals, especially for local (NM) fleet-type rentals. To setup an account, contact Transportation Services. For liability insurance reasons, vehicle rental transactions not using the corporate services agreement may not be direct-billed to NMSU. Rental vehicle expenses must be paid out of pocket and submitted for reimbursement on a Travel Expense Report. The agreement includes collision damage waiver insurance in the rental rates. Fuel for rental vehicles must be purchased out of pocket and receipts submitted for reimbursement on a Travel Expense Report. Vehicle rental of up to a mid-sized car is allowable. Exceptions may be made if there is a valid business need to upgrade to another vehicle type or a larger vehicle. Exceptions must be supported by written justification and included with the employee’s Travel Expense Report. The BMO Financial Group Diners Club (see section 5C.10.70) credit card may be used for vehicle rental transactions; this card provides free collision damage waiver insurance. Employees should decline any insurance coverage offered by the rental agency. For additional guidelines concerning rental vehicle insurance, refer to the Procurement Services section 4.45.20. All chartered ground transportation is processed on a Purchase Order requisitioned through NMSU Purchasing (Banner) System. Reimbursement for mileage is allowed only when employees are traveling from their primary official place of work on approved University business. Employees traveling from their primary place of work to an approved site related to their official duties, such as teaching an off-campus class in addition to regular duties, may receive reimbursement only if their regular or primary place of work is the originating point. Standard mileage allowances can be obtained at Frequently Used Round-Trip Mileage Figures. Travelers may elect to use the mileage found on MapQuest (http://www.mapquest.com/) or a similar website. If website mileage is used, a copy of the results must be included with the Travel Expense Report. Reimbursement of mileage claimed in excess of the standard local mileage allowance or trip website mileage may be allowed if odometer readings or a written explanation is provided. For local mileage, a mileage log with odometer readings, dates, and destinations may be used. When a vehicle is not left at the airport two round trips are allowed for reimbursement. Reimbursement for round trip travel to the El Paso airport is limited to the amount allowed for two round trips by private vehicle at the current mileage rate. If a vehicle is left at the airport, one round trip and a parking fee is allowed. Parking fees must be supported by receipts. Airport parking fees will only be reimbursed at the current long term parking rate. Employees traveling on official business in privately owned vehicles or airplanes are eligible for mileage reimbursement at Internal Revenue Service standard rates applicable at the time of travel (see Privately Owned Vehicle Rates). Mileage reimbursements are intended to cover all expenses related to use of the vehicle/airplane, such as gasoline, repairs, etc. University gasoline credit cards may not be utilized to purchase fuel for personal vehicles/airplanes. Employees using their personal vehicles for official university business to tow trailers for animals, feed, equipment, or other bulky loads may receive reimbursement for mileage. If a privately-owned vehicle is used to transport more than one employee, reimbursement for mileage is limited to one employee. When electing to drive to a destination, reimbursement claimed should be the lesser of the cost of airfare or mileage. For the purpose of determining allowable transportation cost, estimated rental vehicle expenses in the city of destination and mileage expense to the airport may be included as a part of the estimated cost of flying. A completed Airfare Equivalency Worksheet must be included with the Travel Expense Report to support the reimbursement amount. Flight pricing should be obtained at approximately the same time as the registration fee is paid in order to obtain the most appropriate flight costs and should be the lowest fares available. If the nature of the trip requires the employee to drive (e.g., carrying equipment for a presentation), when multiple employees are carpooling (5C.40.20.60), or if the distance traveled is under 600 miles (one-way), the Airfare Equivalency Worksheet and quotes are not required. Registration fees may be paid by NMSU in advance of a trip by use of the University Procurement Card or by submitting a Direct Pay form along with the registration document. Employees who pay a registration fee from personal funds will be reimbursed by submitting a Travel Expense Report and attaching the registration document and proof of payment, such as receipt, credit card slip, or cancelled check. Registration documents must provide cost and a breakdown of services included in the fee. Expenses resulting from an employee’s non-official or personal activities, such as optional pre- or post-conference recreational activities or entertainment fees, and expenses related to personal guests of the employee cannot be reimbursed. Lodging and/or meals included in a conference registration fee or otherwise paid for by NMSU must be deducted from the total reimbursement claimed unless justified by the traveler. For any provided meals, the reimbursement claimed must be reduced by the greater of the individual meal(s) per diem amount based on location and amount (see table below) or the actual meal cost. Travelers must provide a copy of the conference advertisement or flyer with their Travel Expense Report. Departments may elect to pay for travel expenses incurred by non-employees that are supporting the University mission, such as interviewees and other guests. All expenses must have Appropriate Approval and meet all routine University procedures. At the discretion of the department some expenses can be direct-billed to the University. Airline tickets may be purchased with a University Procurement Card (PCard) consistent with the process allowed for employee airfare in BPM Section 5C.40.10.10. Lodging and local shuttle service may be direct-billed to NMSU by entering a Purchase Requisition in the Purchasing (Banner) System for vendors who accept an NMSU Purchase Order. The requisitions first line should contain the traveler’s name and dates of travel. Use an established 768XXX expenditure account code (non-employee travel pool). For liability reasons rental vehicle expenses must be paid out-of-pocket by the traveler and submitted for reimbursement. For reimbursement of meals and other allowable expenses, submit a Direct Pay form with valid receipts or an itemized invoice signed by the non-employee traveler. Requests for reimbursement of non-employee travel expenses must be submitted on a Direct Pay form with supporting receipts or a signed itemized invoice of travel expenses. Itemized invoice expenses cannot exceed the amount of the highest domestic per diem rate and will be reported as taxable income per IRS regulations. Per diem in lieu of actual expenses will be paid only as allowed by external funding requirements. Requests for reimbursement of non-employee recruitment travel expenses must be submitted on a Candidate Recruitment Travel Reimbursement form. This form is to be used only for reimbursement of travel expenses related to a candidate recruitment visit to NMSU; no vendor questionnaire is required. Expenses are limited to those allowed for travel by NMSU employees. Expenses must be reasonable and related to the recruitment visit. NMSU will not reimburse expenses when a candidate is disqualified from consideration due to improper credentials, unfavorable background check or misrepresentation. NMSU reserves the right to arrange all travel plans and be directly billed by the vendor of these services, when possible. All requests must have legible receipts and must be submitted within 90 days of the date of the recruitment visit. Per diem in lieu of actual expenses will be paid only as allowed by external funding requirements. Supporting documents, including recruitment itinerary, must be attached to the signed Candidate Recruitment Travel Reimbursement. Moving expenses are defined as either “qualified” or “non-qualified” in accordance with the current IRS regulations. Reimbursement of qualified moving expenses results in no tax consequence to the employee. To reimburse as qualified moving expenses, IRS guidelines require the move meet both a Distance Test and a Time Test. Detail explanations of both tests are available from IRS Publication #521. A list of qualified, non-qualified and university allowable expenses may be located on the Guidelines for Moving Expense Reimbursements.